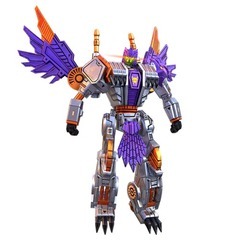 Created by fusing the bodies and Sparks of Tigatron and Airazor, Tigerhawk soon went against his creator's nefarious wishes and chose to fight alongside the Maximals and Optimus Primal. Wise and spiritually connected to the Earth, Tigerhawk has the mystical ability to control the weather and stones of the planet itself. 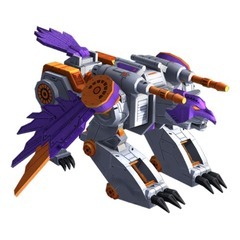 If this power weren't enough, he also carries multiple weapons in both his robot and beast modes, including hidden missile launchers and wrist-mounted electricity cannons. 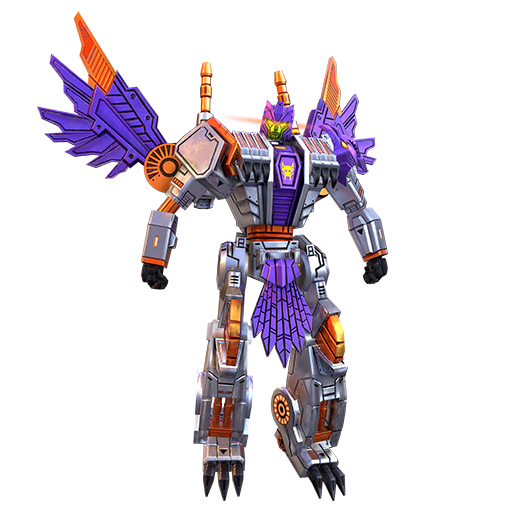 Some say the love Tigatron and Airazor had for each other and for the Earth is the source of Tigerhawk's abilities. 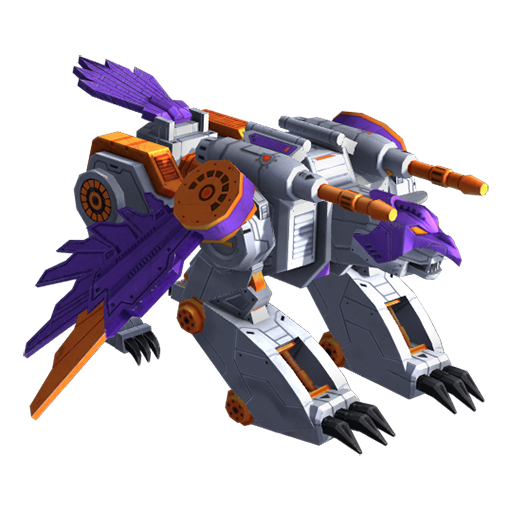 But whatever the true nature of his gifts, few would deny that Tigerhawk is one of the most powerful beings in the Beast Wars. Blizzard - Create a blizzard in the area that deals 52.0 damage and slows enemy attacks by 25%, and call lightning strikes up to 8 times for 58.9 damage each.